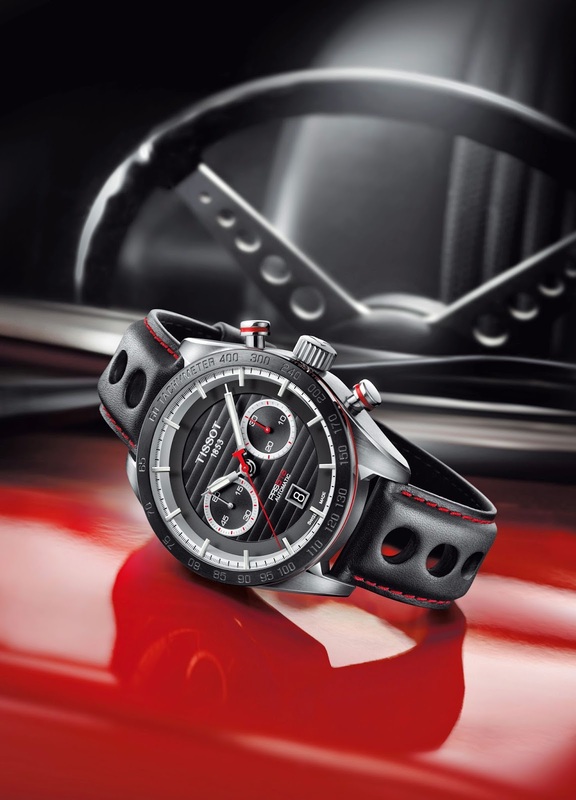 The Tissot PRS 516 references Tissot’s fabulous history and shows it is still at the forefront for motorsport devotees. It looks back to 1965 when the Tissot PR 516 paid homage to a racing car with the familiar holes in the steering wheel seen in the watch’s strap and immortalised in Tissot’s iconic advertisement ‘”hand on the steering wheel”. The new model is sharply modern but just as stylish, with a smooth banana shape case with black bezel and pushers which resemble the pistons of a car engine. Fans will be delighted original details remain, with the famous holes in the strap and floating indices with hands that pass underneath adding an authentic, vintage touch. 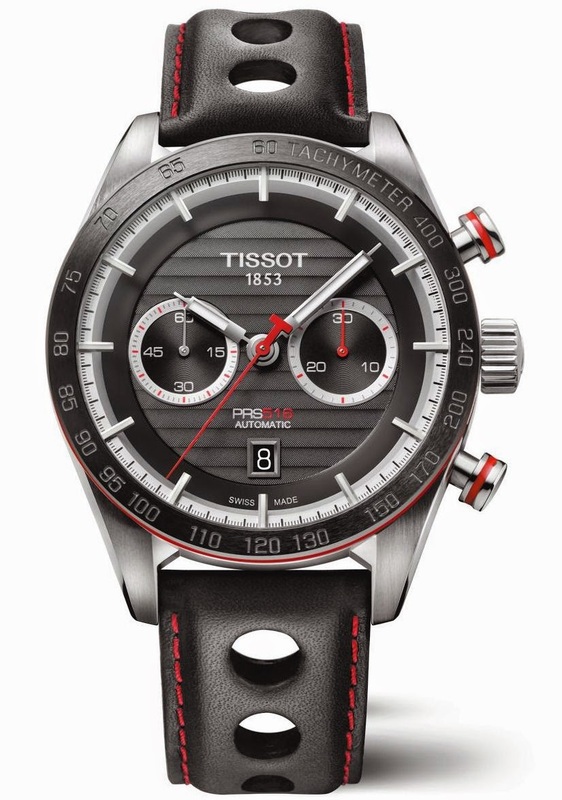 Like a fine racing car, the Tissot PRS 516 pays close attention to detail to ensure a winning result. For the first time, it boasts a new movement for Tissot, that, as well as being highly performing, with its 60 hours of power reserve, also has a rotor shaped like a steering wheel for an adrenaline-fuelled finish. Additionally it uses materials that are both tough and opulent – with a new ceramic or carbon bezel which features a tachymeter, while a domed anti-reflective sapphire glass is not only luxurious but also brings the details to life. Detailed patterns on the dial give a luxurious sense of depth, while a date display window and the volume around the counters and edge of the dial reference beautiful racing cars. Extra touches of colour on the bracelet or dial add a sense of dynamism budding race car drivers will appreciate.